Magic: The Gathering has been running for as long as I can remember. Even when I was young, going to the games store to pick out new Game Boy games, I could see the packs and decks hovering over me. It’s always seemed interesting but daunting. Arena makes those apprehensive first toes in the water a little easier to dip. I’ve had brief brushes with playing Magic, mostly fooling around with the free demos for various console versions, or playing against friends using the decks reps hand out for free at conventions. I even once tried a tournament where they basically hand you a ready-to-play deck and say “go.” The bug never bit me. I turned to other games, digital ones like Hearthstone and Gwent. 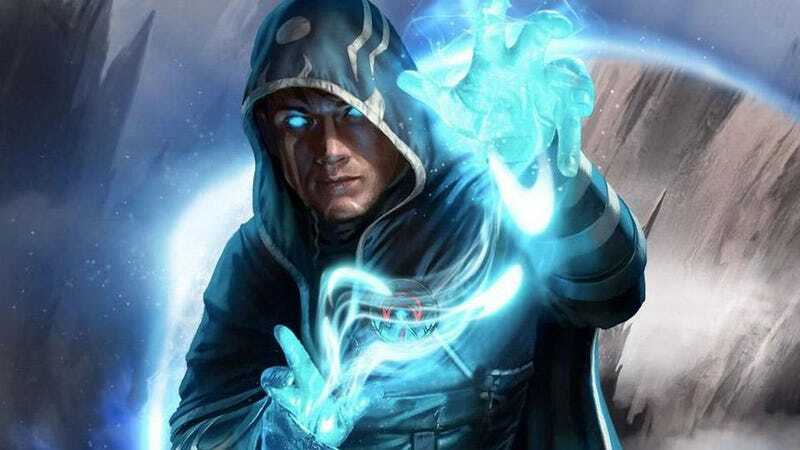 The last week or so, I’ve been playing the beta for Magic: The Gathering Arena, Wizards of the Coast’s new answer to card games in the digital age. It’s limited to a few recent sets, starts you with several pre-built decks, and then says “go.” And somehow, the push-off for Arena has kept me going past the honeymoon phase. Cards are animated and have some vigor to them. Settings let me automate more straightforward parts like tapping lands. Card descriptions are clear and available at a moment’s notice. Now, I don’t have to feel awkward asking to read my opponent’s monster’s description, handing it back, and then asking for it again two minutes later. Arena also trusts the player to solve things themselves, with a little push from the system. When I booted it up the other day, it had a quest waiting for me. Win two games as a blue/green deck, and I would get some gold coins to spend on packs. Now normally, I stick to my trusty red/black pirate deck. Not only do I like slamming my opponent in the face with early aggression, I’m also a fan of the pirate aesthetic. But I swapped to the blue/green pre-built deck, and found it was a different kind of aggro than one I was used to. It was fun! I got my two wins, and a few more after that. Usually, discussions around what deck I should play in Magic devolve into theoretical if-then’s. I really appreciate when a game just puts the tools in front of me and gives me the occasional nudge in the right direction, without telling me exactly how to play the deck. Arena hasn’t really changed my outlook on physical Magic: The Gathering. It’s still a big cost investment, and I’d need to find a regular group to keep up with, who could give me decent play at my skill level. The other take on online Magic didn’t grab me for a similar reason: it asked a lot during the buy-in process. The best thing about Arena is I can play it on my time. During lunch, a lull in the day, late at night, first thing in the morning. Maybe what was missing all along was a Magic: The Gathering format that respected my schedule. The jury’s still out on whether I’m hooked for good, but at least for now, I’m still rolling the high seas with my glorious pirate deck and having a good time doing it.